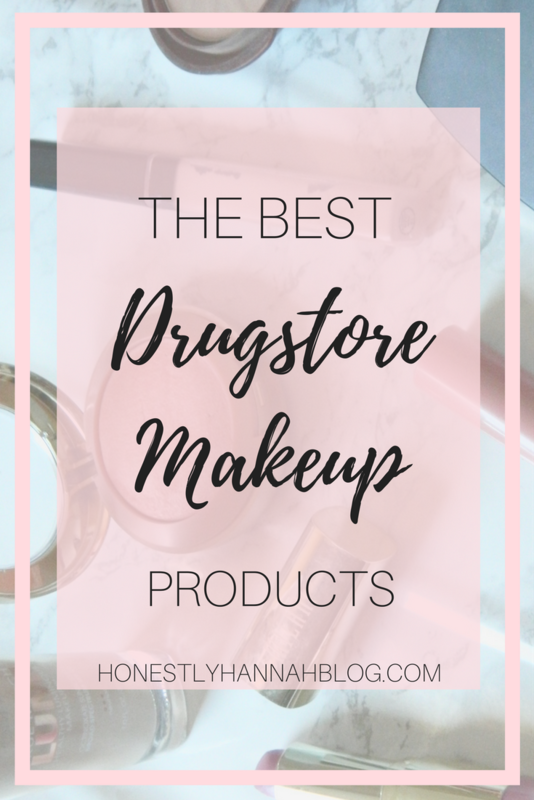 While I love high end makeup as much as the next girl, I can never get enough of the affordable products from the drugstore. 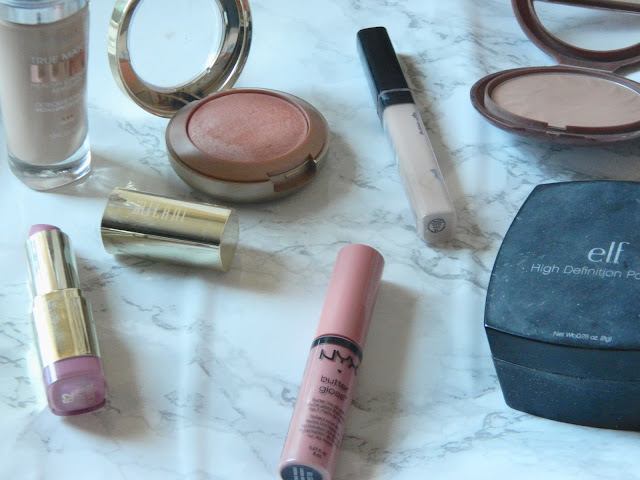 There's nothing more fun than prowling through the endless makeup isles in Target or your local drugstore, so I've decided to share a few of my holy grail drugstore makeup products! 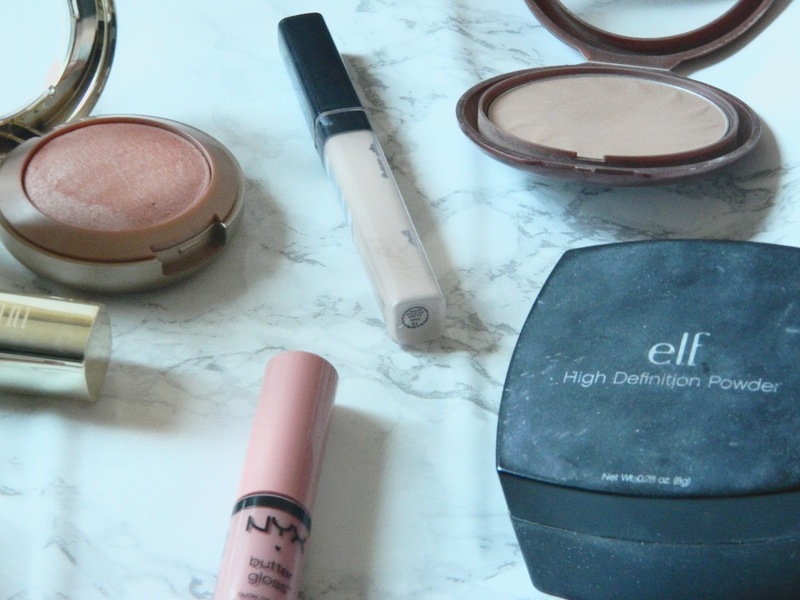 When it comes to foundations, I always come back to this one. The L'Oreal True Match Lumi foundation has been my absolute favorite since I've purchased it. I often don't repurchase foundations since I like to try out new ones, but I'll never stop purchasing this one! It gives your skin the most beautiful and healthy glow. If you haven't tried this concealer, go pick it up right now! This is the most lightweight, high coverage concealer that you can find at the drugstore. It's perfect for both under the eyes and for covering blemishes. I can't even tell you how many times I've repurchased this product because I just can't get enough. The ELF HD Powder takes the cake for drugstore setting powders. I think it's only about $6, and you really can't beat that for drugstore products. I usually use this powder to set under my eyes, but I've used it to set my whole face before and it still works great! As a proud pale skinned gal, I've definitely had my struggles with finding a bronzer that doesn't make me look like an orange potato. I discovered the NYC Sunny Bronzer last summer and I'm completely obsessed. This bronzer is amazing for the lighter skin tones out there, so I really appreciate that, since I feel that a lot of bronzers are geared more towards darker skin tones. This is the prettiest blush I've found thus far, and it's great for all skin tones. It has a really nice sheen in it that isn't too sparkly. It gives your cheeks a nice and healthy glow along with a flush of pink color. The Milani lipstick in the shade Matte Blissful is such a pretty everyday pink. I've noticed that even though these lipsticks are matte, they're not drying on the lips. Plus, Milani packaging is always so on point. Doesn't this lipstick practically look high end?! You've probably heard YouTubers rave about the NYX butter glosses, and for good reason! These glosses aren't at all sticky, but they're perfectly glossy without being too much. They have just enough pigment so that they look great alone or on top of a lipstick. This is another product that I don't think I'll ever stop repurchasing. This is the only mascara I've ever tried that actually makes my lashes look super full and long. If I really work with this mascara enough, I can almost make my eyelashes look fake! This is definitely a must have product for your makeup collection. 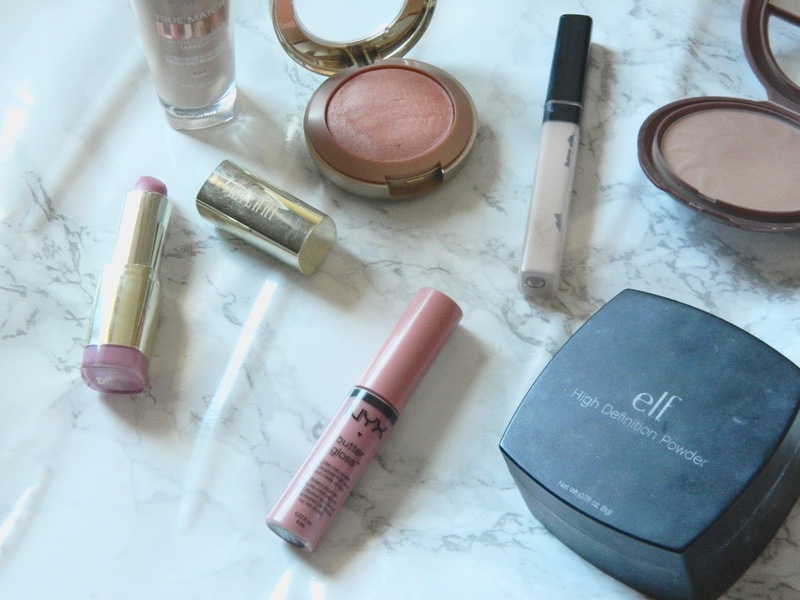 High end makeup favorites coming soon! What are some of your drugstore makeup faves? It's the best concealer ever! Yess one of my favorite blushes ever! I agree! 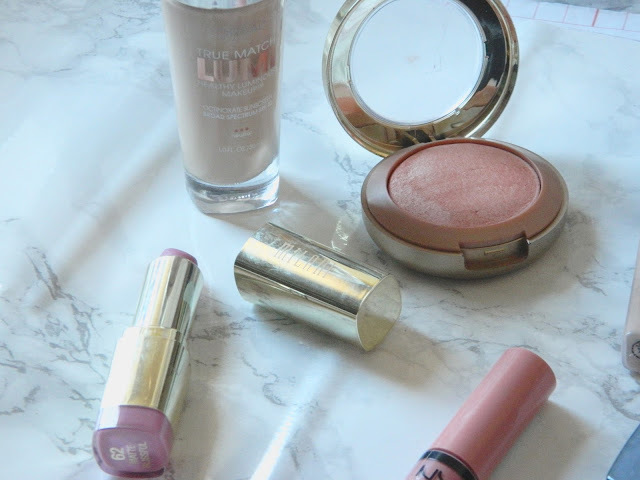 I love their glosses and primers, but I definitely want to try out more! Drugstore Makeup is really awesome. Thanks to share this makeup. Makeup is an important part of women's life. I use my make in every day. I can't imagine a single day without my best Liquid Matte Lipstick and my makeup.